I have a question to throw out here for anyone taking vyvanse/adderall/amphetamines in general. First off, I am prescribed adderall and vyvanse. I only started taking them a lot in the past 8 months. In these months I noticed small bumps on my skin that turned into acne and it continued to develop all over my face. My skin became dramatically oily and my head a bit itchier. Now my skin is in the worst condition it has ever been in. I have tried everything over these 8 months. From the gentle approach, to my old vigorous routine with no clearing. New pimples overnight! I am even on diane 35. This simply is not how my skin behaves. Oh and I have changed my diet to be skin-friendly for three months now. I am starting to draw a correlation to these medications. Does anyone find that their skin reacts or is oilier when on these medications? 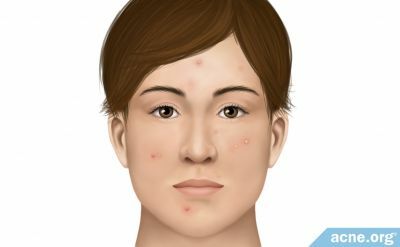 I can only assume that a stimulant could boost sebum production, but I really haven't been able to look into it too much because acne is not a documented side effect! Any opinions or comments would be awesome! Oh my gosh. The same marks haven't cleared or your skin has continued to be bad? Have you noticed oiliness? What sort of products have helped you?